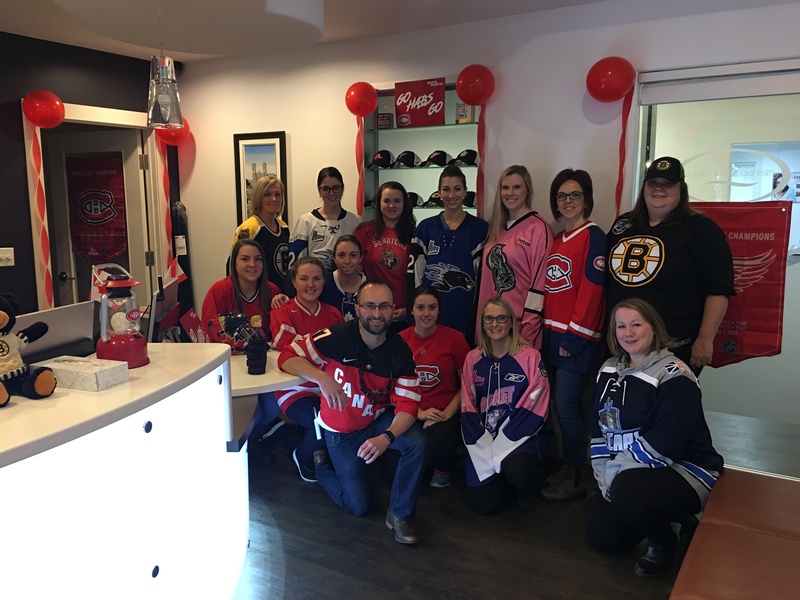 Our team at Wade Abbott Dentistry are showing our hometown hockey pride by sporting our favorite team jerseys and showing just how big of fans we are of the best game on the planet – the good ol’ hockey game!! Our team at Wade Abbott Dentistry are showing our hometown hockey pride by sporting our favorite team jerseys and showing just how big of fans we are of the best game on the planet - the good ol' hockey game!! We have some big Detroit Red Wings, Canadiens de Montréal and Boston Bruins fans in our office!! We would also like to welcome Rogers Hometown Hockey and the one and only Bob Cole to the City of Mount Pearl !! Each team member plays an integral role in the day-to-day operations of Wade Abbott Dentistry & Associates: from the warm greetings of our receptionists, to the comforting smiles of our dental assistants. Take time to familiarize yourself with each and every member of our wonderful team.